So you know how to do the digitizing. Are you a digitizer? Wish to open the EPS file but do not have the EPS opener or photo shop to open the file. Don't worry, now you can open the EPS file with out any software and the good news is that you can even edit the same without any software. Yes it is possible. 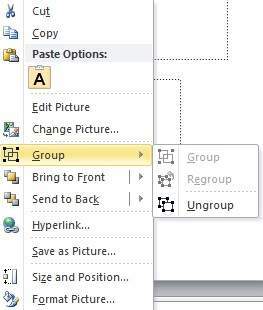 5) Once you will click on the ungroup option it will allow you to edit the file. So, its simple...Try it yourself and if you face any problem then feel free to contact us or reply to this post, one of our member will revert to your query.